It was the day of tuesday this week when legendary tennis star Pete Sampras trophies were reported stolen. Sampras had held the record for the most grand slams of 14 till broken by Federer suffered a great setback, when it was revlealed that most of his trophies and other memorabilia were stolen from a West Los Angeles public storage facility last month.This included 13 of the 14 memorable and hard fought grand slam trophies along with two Davis Cup trophies.His other trophies also included most from his 64 tour title wins,an Olympic ring and six trophies for finishing world number 1 which he had achieved from 1993 to 1998. 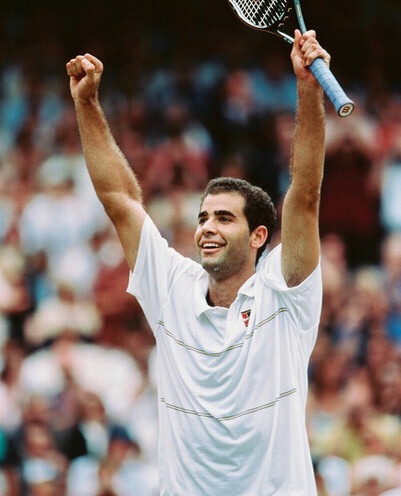 It ended up in a utter despair for Sampras, who explained that this loss was about giving up his history of tennis life away. It was also upsetting in a sense that he would have liked to show these trophies to his children. He hoped that this revelation would help getting some sort of a lead, and help recover his most treasured asset. On the other side ITF( International Tennis Federation) has offered Samparas replacing the two Davis Cup trophies with the replicas. "We were sorry to learn of the theft," said ITF head Francesco Ricci Bitti. "We know how special a Davis Cup victory is for a player. If he is unable to recover the loss of his two Davis Cup trophies, we would like to offer him a replica trophy in recognition of his outstanding record in the event."